The 3Doodler Start is a 3D pen specifically designed for kids. Not all 3D pens are suitable for young kids to use, due to an exposed heating element and danger of hot filament.... The 3Doodler Start Eco-plastic was specially developed for the 3Doodler Start pen, so that you can Doodle at lower temperatures. It�s not possible to use other 3Doodler plastics (such as ABS, PLA or FLEXY) in your 3Doodler Start. The 3Doodler Start extrudes an Eco-friendly Plastic that cools and hardens rapidly, allowing kids to literally draw in the air! With the new 3Doodler Start, your creative kids can finally bring all their wonderful and imaginative ideas to life in 3D. 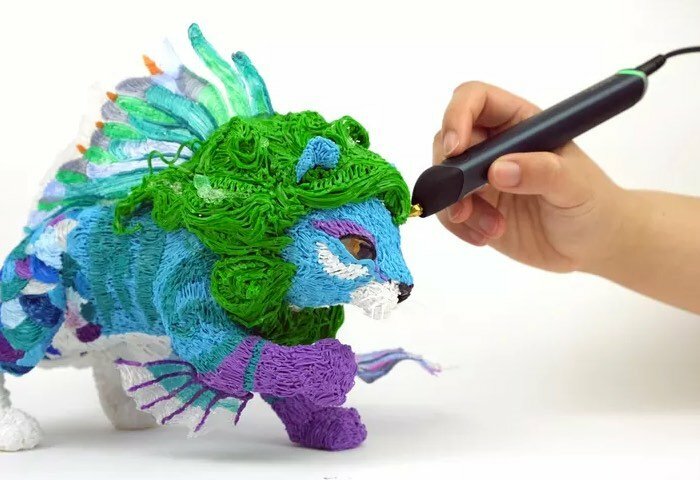 Once you have your completed design drawn out, switch on your 3Doodler* and start to outline and fill in the design with filament colours of your choice. Remember to leave a little space between your ball-bearings, weights and the outline so they fit into their spot easily later.